The staff library will keep staff connected to the Jack and Pat Kay Centre Camp through out the year as well as provide them with important information as we prepare for the camp season. During the summer, we will post all relevant information to the summer here, including the Staff Manual, fun and creative programming for all ages and more. At the end of every summer during our annual End of Summer Staff Banquet, we announce the winners of several prestigious awards. The superstar staff that receive these awards are recognized for their incredible contributions that summer, positively impacting the experiences of our campers, and their fellow staff. These staff will forever have their names etched in The Jack and Pat Kay Centre Camp history, as well as literally etched on our award trophies! Over the past 28 years, some amazing people have been a part of The Jack and Pat Kay Centre Camp’s great history. We’ve heard some amazing songs and cheers and seen incredible dances, costumes and wacky personalities! The one thing that remains constant are the The Jack and Pat Kay Centre Camp traditions. They helped create memories that you hold near and dear to your heart and they are what keeps us going every year. Many staff who met at The Jack and Pat Kay Centre Camp are now married with campers of their own. Help us keep our traditions alive and relive those memories with The Jack and Pat Kay Centre Camp Alumni that you may have lost touch with at our yearly reunions. For more information about alumni events, special camp pricing, or to get on our Alumni mailing list. Get ready for the BEST summer of your life! 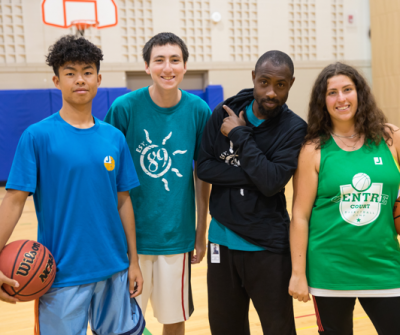 Located at beautiful Lebovic Campus in Vaughan, campers and staff get to participate in a wide of variety of exciting activities, including sports (baseball, basketball, floor hockey, soccer and way more! ), arts (arts and crafts, music, drama just to name a few), media (video, photo, DJing), and unique camp programs (cooking, robotics, and outdoor adventure programs). We are looking for outgoing, fun, creative people who want to have the time of their life while helping to create an incredibly positive and memorable experience for our campers. In addition to being active each day at camp, when you work with us you receive FREE membership to the JCC (including Fitness Centre and pools!) from April to August! Whether you are working for the first time or have been with us for a decade, we will provide you with a rich, professional, applicable and entertaining training experience that will elevate your skills. We don’t just hire staff. We HIGHER staff! We celebrate Israel and our Jewish culture through incredible music, activities, food and customs. 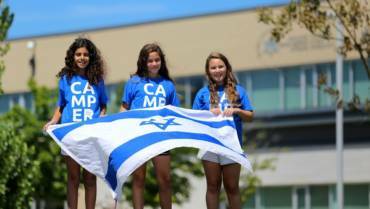 We are proud to have several staff from Israel who bring their passion and energy to camp every day. Immerse Regardless of your background or affiliation, you will gain a stronger understanding and love for Israel! The JCC’s of Greater Toronto encourages applicants from all qualified candidates. Our facility is fully accessible. Please contact Naomi Gryffer at 416‑638‑1881 #4378 if you need any accommodation at any stage of the application process or want more information on our accommodation policies. The JCC’s of Greater Toronto encourages applicants from all qualified candidates. Our facility is fully accessible. Please contact Naomi Gryffer at 416-638-1881 #4378 if you need any accommodation at any stage of the application process or want more information on our accommodation policies. From Michael Eisner at Disney to Jack Welch at General Electric, if you look at the individuals who have been at the top of the business world for the later half of the twentieth century almost every single one of them has identified working at camp as a defining moment in their life. The skills, experiences, and memories that one can create at The Jack and Pat Kay Centre Camp are transferable to almost any field one would want to pursue. We strive to ensure that our staff get the most of their time with us. 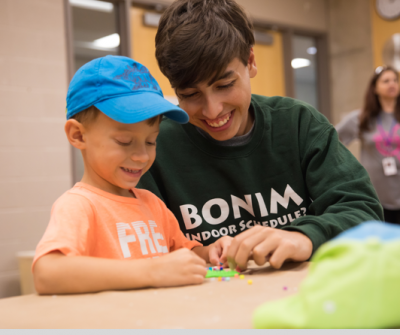 While you work to ensure that campers are enjoying themselves, growing, and developing the tools that they will need to be successful in their early lives, we are constantly striving to do the same for you. 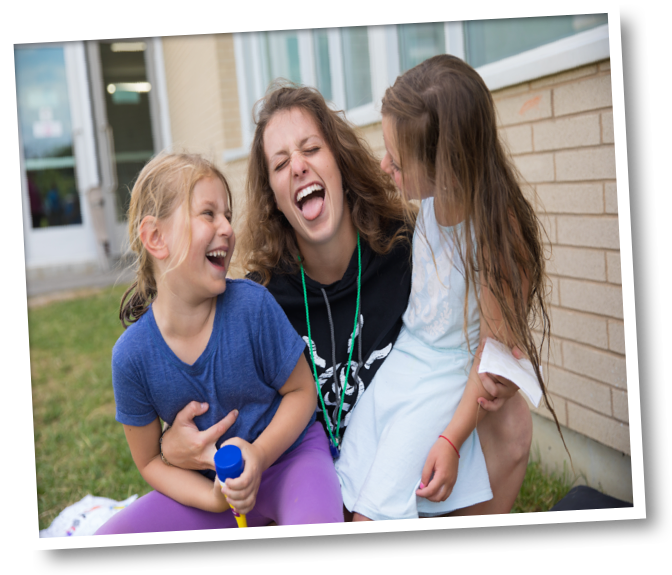 A job at camp, working with children, can be one of the most rewarding experiences you ever have: teaching social, creative, activity and living skills to children; helping them grow and change; challenging them to think and appreciate everything around them. In addition to a plethora of transferable skills that will help develop and strengthen your skill set, below is a list of other reasons why you should choose The Jack and Pat Kay Centre Camp. FRIENDS FROM ISRAEL – Our summer Schlichim program brings in a group of energetic, dynamic, and passionate Israelis to inject Israeli culture into our program. It also gives you as staff the opportunity to make new friends and experience Israel through the stories of young Israeli citizens. Lifelong friendships have been developed through this incredibly rewarding program. A JOB EXPERIENCE – We will push your creative, organizational, and inter-personal skills to the limit. With new and exciting challenges happening on a daily basis, working at camp is a great thing to put on your resume regardless of what field you plan to pursue in the future. 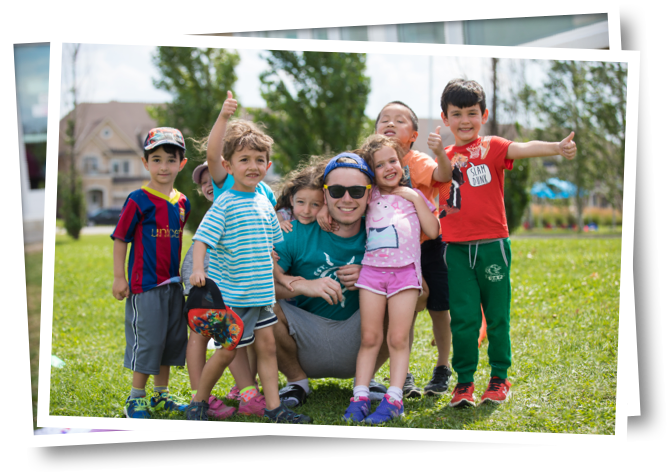 GUIDANCE FROM EXPERIENCED CAMP STAFF – With us, you have the opportunity to work with teachers and social workers, in addition to individuals with their law and business degrees. All of this life and work experience means that you can have guidance that transcends the camp world as we want to ensure that you are successful in all avenues of your life. 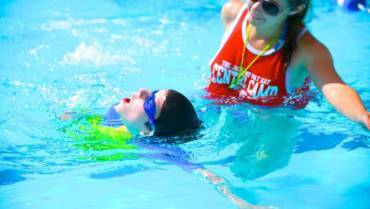 PRE-CAMP TRAINING – It is your job to ensure that our campers have a fun and educational summer experience. 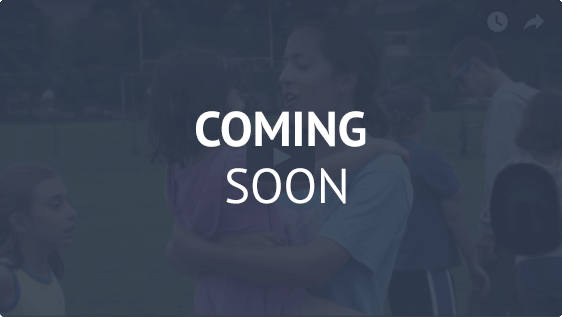 It is our job to ensure that both fun and education occurs during our pre-camp training session. Head and specialty staff will participate in a long weekend getaway where they will develop the tools to guarantee a successful summer. Our general staff will join us at the Prosserman JCC and Schwartz/Reisman Centre for a training experience that is professional, applicable, and entertaining all at the same time. 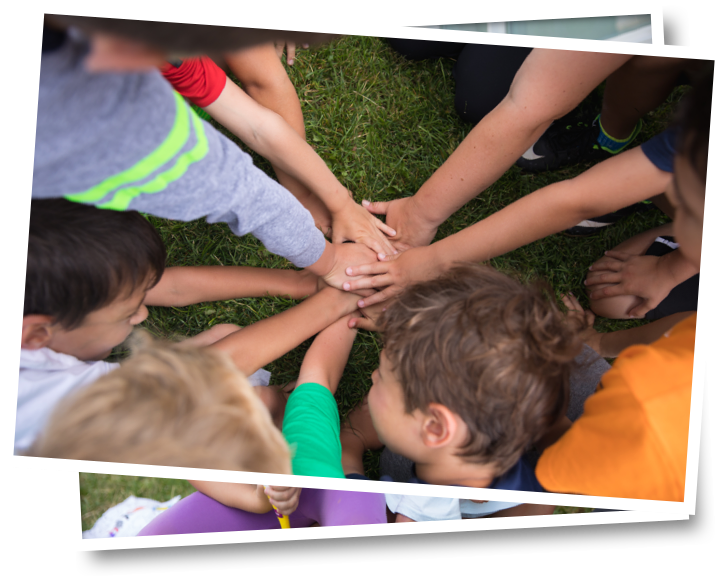 COMPETITIVE SALARIES – We prides itself on providing summer salaries that are competitive with other day camps in Ontario. DAILY MENTORING and CONTINUAL TRAINING – Our supportive staff structure ensures that each and every staff member has a mentor they can turn to in order to help in their development and training. In addition, our weekly staff meetings are tools we use to update skills and continue the training that began during the pre-camp session. LEARNING ABOUT YOURSELF – Learning to problem-solve, listen and work with children can provide you with the greatest satisfaction – one that will stay with you. There is a job to be done. You can learn while you are doing it, you can help youngsters grow and change, and you can achieve a deep sense of personal satisfaction from doing a job well.